Whether reviewing or drafting a contract we take every step to make sure our clients understand the legal as well as the real world aspects of contracts. Legal Aspects: It is important to remember that many contracts are fairly straightforward documents, but it is important that a person review and understanding the terms so they can operate under the agreement. Generally, most courts will interpret the contract according to its plain meaning. Drafting a contract so the parties know what their rights and obligations are under the agreement is vital because most courts will only look at what is actually written in the agreement when interpreting the contract. Knowing what you are required to do and what the other party is required to do before hand will help minimize the potential of a dispute. Client Understanding: When we review a contract, we analyze the legal and practical implications of the agreement. Additionally, we take time to make sure our clients understand the legal and real world application of the contract we are reviewing or drafting for them. Our goal is to have a contract our client is comfortable with and understands the language. We also want to make sure that if we are reviewing a contract, the client is aware of all important rights and responsibilities. If you have any questions regarding Contracts in Georgia, or any other question related to Business Law, please Call or Email the Business Lawyer A. Bishop Law today for a free and confidential initial consultation. 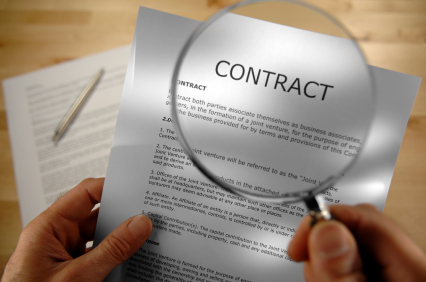 It is important to review and understand all aspects of a contract before signing. About the attorney: Anne Bishop is an attorney with A. Bishop Law in Gainesville, Georgia and offers a variety of business services. Serving clients throughout Northeast Georgia including: Hall County (Gainesville, Oakwood, Flowery Branch), Lumpkin County (Dahlonega), Gwinnett County (Buford, Sugar Hill, Lawrenceville), Habersham County (Demorest, Cornelia), and adjoining counties.